In your darkest hour, may you find light. If you are cold, may you find warmth. If you are hungry, may you be nourished. There are no more basic needs, and no more fundamental desires. We are all a family, and we can all wish well for each other. 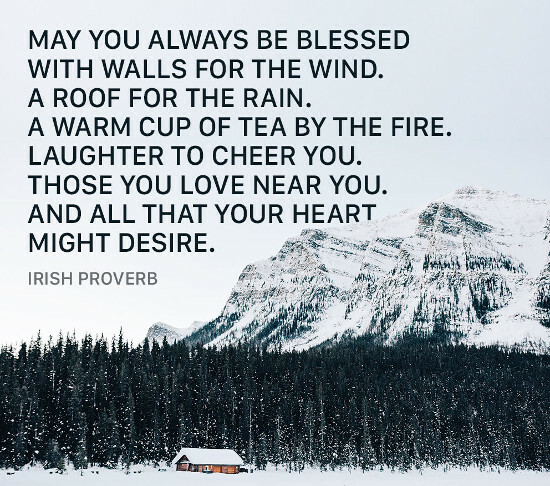 May your house be a home, and may your home be full of light and warmth and love and laughter. Namaste.